Does your basement have a flooding problem every time it rains? Then it’s time to purchase and install a new sump pump to help keep your basement and home protected from water damage. 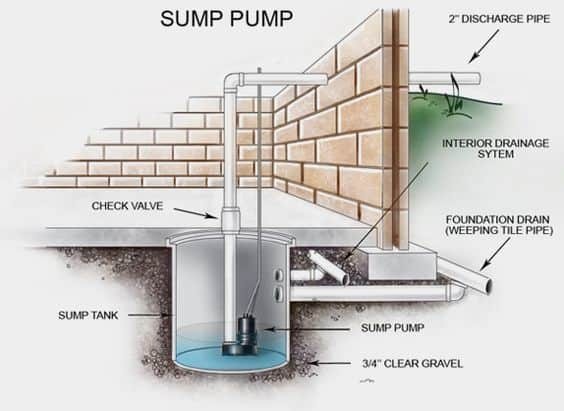 Installing a sump pump can be easy if you know the right steps. The easiest and simplest method of installing a sump pump is to hire a licensed plumbing specialist. By using a professional, you will have peace of mind that your sub pump was installed properly and that your basement will be projected from flood water. If you’re confident in your home sump pump repair abilities, then consider installing a sump pump yourself. Let’s explore how to install a sump pump on your own. The first step in the process is to purchase the right type of sump pump for your home. Keep in mind that you get what you pay for and investing in a top quality sump pump installation cost and more headaches down the road. 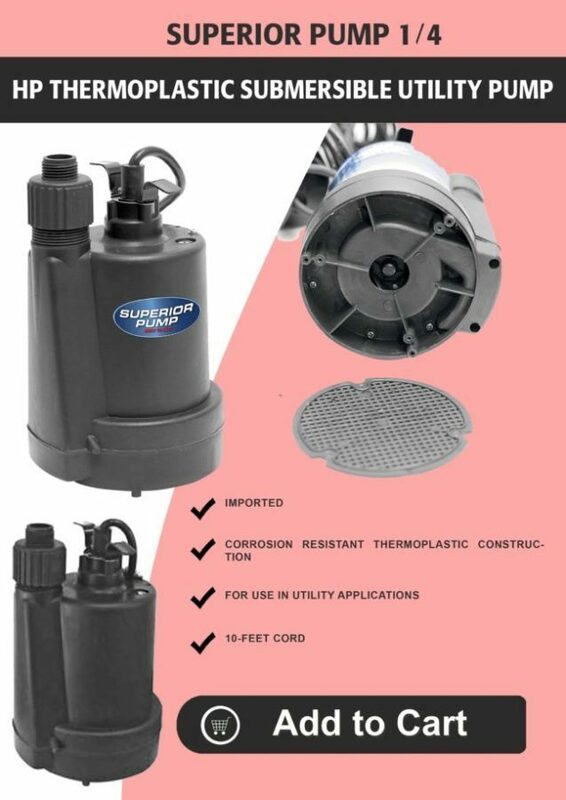 Sump pumps come in many different casings, including metal, cast iron, and plastic. Due to their amazing durability and impressive heat expenditure, a cast iron sub pump is a great selection. Sump pumps come in a variety of sizes, horse powers, and gallons per hour (GPH). You can typically find sump pumps in horsepower choices of 1/2, 1/3, and 1/4. Also keep in mind gallons per hour (GPH) that the pump can manage. Sump pumps vary drastically. For example, one sump pump may offer a 1/2 horsepower and 7,000 GPH pump, while another may offer 1/2 horsepower and only 3,000 GPH pump. If you continually have flooding in high volume, then consider a higher horsepower and GPH. Finding a top sump pump with a reliable float switch is very important. The flotation mechanism is what triggers the sump pump to turn on in the event of flooding. It is highly recommended that your purchase a sump pump with a superior flotation mechanism. Also, many of the better sump pumps have a check valve to keep the flow of water going one way. After you have your sump pump for basement, you’ll also want to purchase a container for a sump pump pit, or the lowest point in your basement where the water will pool if there is a flood. If your pit size is too small, it can result in poor operation or even damage to your sump pump. It is best to purchase a container of about 18 inches around, and no less than 22 inches deep. Once you have your container, you will have to make an adequate sump pit hole. In order to penetrate a cement floor, you may need to rent a jackhammer. For best results, your sump pump (or attachment) must fit into a pit that is beneath floor level. You will now need to seal off the borders of the pit with cement, letting it dry completely. Now that you have a pit, you’ll want to connect the drainage hose to the tread on the sump pump. Tighten the connection with your hand and use Teflon tape to secure the seal. Make sure your drainage hose is far enough away from your house to prevent water from reentering. If you purchase a submersible sump pump, put it directly into the sump pump pit’s water. If you purchased a pedestal sump pump, put it on a platform above the sump pit as it’s not supposed to be in water. You’ll almost all set. Plug your pump into the wall and test it. It’s also worth mentioning that sump pumps use a large amount of energy. It may be necessary to run your sump pump from a separate electrical circuit. Remember that your safety is the most important factor. If you do not have adequate knowledge of electrical circuitry, then hire an electrician.